According to the same community website a number of leaked images reveal that Samsung has indeed included a Blockchain KeyStore on the new Galaxy S10. Cryptocurrency support aside, the 10th edition of its flagship Galaxy S series is also expected to come in three configurations and feature an ultrasonic fingerprint scanner, six cameras (four on the back and two more on the front), and a "Bright Night" mode for low-light photos. While many places around the world won't have a functional 5G network by the time the Galaxy F is predicted to launch, Samsung's home nation of South Korea already has one, with several different cell carriers operating 5G networks already in place. 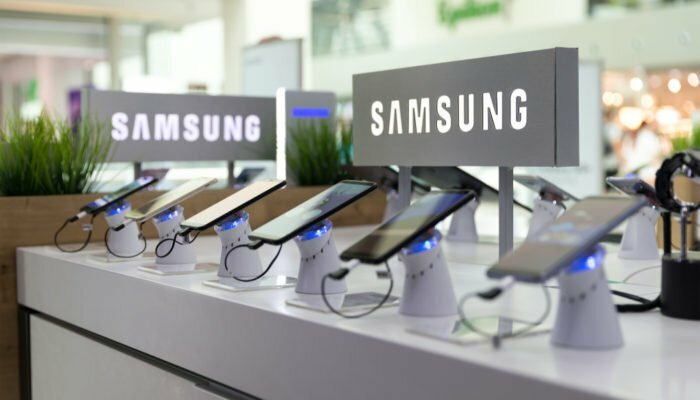 Previously, CCN reported on Dec 13, 2018, that Samsung plans to integrate a crypto cold storage into its S10 model following the company's filing of trademarks for Samsung blockchain. The post also notes that Samsung will be using "BIP32 or another first-party solution to generate the private keys for all the networks". Images uploaded to Twitter by Verge show Samsung listing multiple "cryptocurrencies", but only Ethereum (ETH) is openly visible. Additionally, a user may create a new cryptocurrency wallet with Samsung Blockchain KeyStore. Both devices are examples of Samsung's promise past year to bring new features to its mid-range smartphones first to compete with cheaper phones from Chinese rivals, Huawei, Vivo, and Oppo. More details about the device is expected to appear when the device goes on sale in South Korea. Rumors regarding the inclusion of crypto functionality on Samsung's latest flagship smartphone have been floating around for a couple of months. There is, however, also another reason, one where Nintendo's overarching family-friendly philosophy may have helped immensely. And it's rumoured that the Switch will have sold more than the PS4 and Xbox One combined.